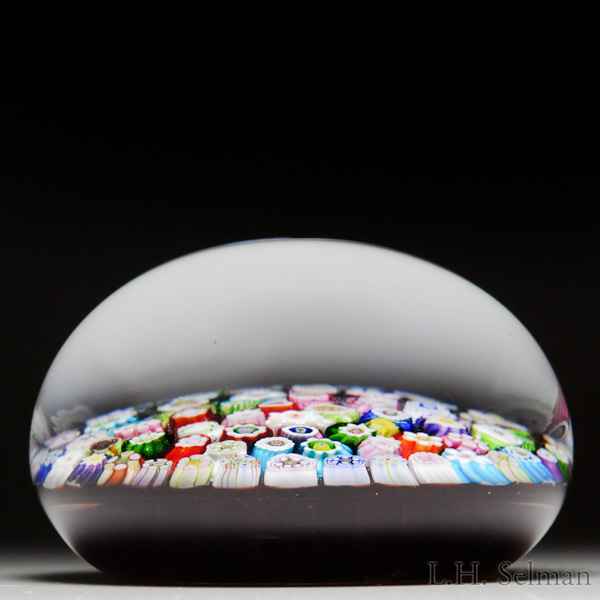 James Lewis Glass 2014 close packed millefiori paperweight. Millefiori complex canes and silhouettes including hearts, shamrocks, whales, roosters, cogs, stars, fortresses and Clichy-type roses are rather loosely packed in what nevertheless reads as a traditional close packed design, set over a translucent ruby ground. Signed/dated. Diameter 3 1/8".